1 Evenly top 4 bread slices with salami, cheese and arugula, then remaining bread slice. 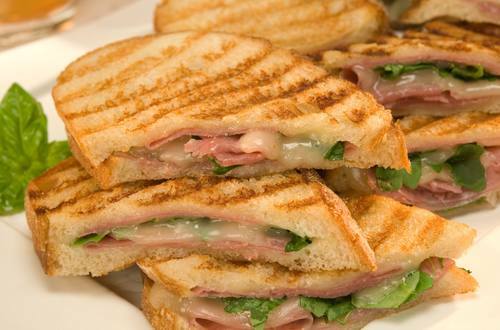 2 Brush both sides of sandwiches with Hellmann's® or Best Foods® Mayonnaise Dressing with Olive Oil. In 12-inch skillet or grill pan, cook sandwiches over medium heat, turning once, 6 minutes or until bread is toasted and cheese is melted.